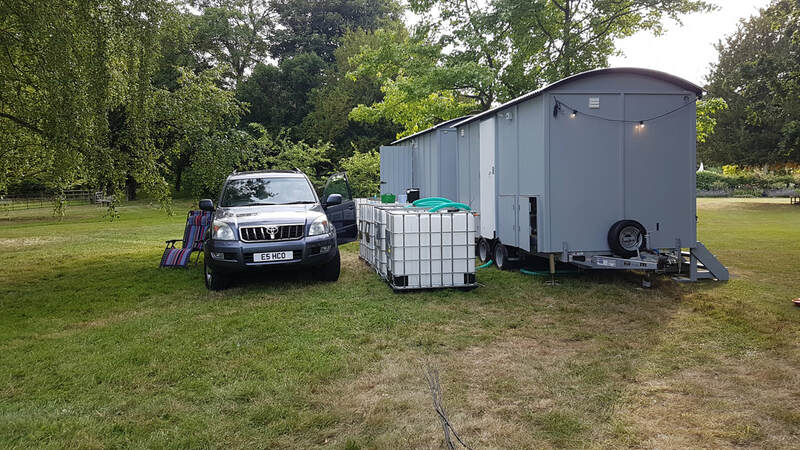 ​If you are hosting an event and need portable toilets, but don’t want the smell of chemical toilets to ruin the day, we can help. 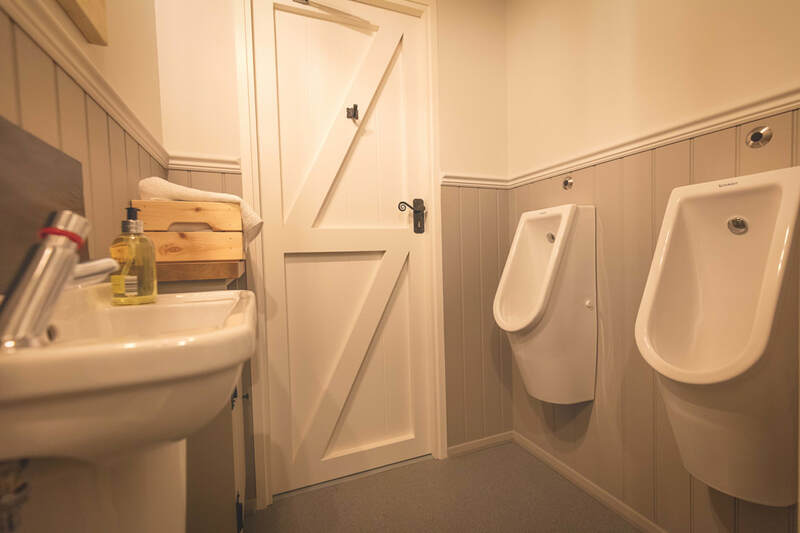 At High Weald Shepherd Huts, we hire out fresh water flushing toilets in boutique wooden shepherd huts. For more interior photographs, Click Here. ​This twin hut has a two separate toilets, each with their own door, typically one each designated for ladies and gents. It is ideal for smaller events with shorter queues! This larger hut has a two separate toilets (on the left) typically allocated for ladies’ use. The third door (on the right) leads into an area with two urinals and a toilet. What makes our huts special? Our luxury toilet huts are constructed by hand as closely as possible in wood to a traditional shepherd’s hut design complete with a curved corrugated steel roof and high quality internal fittings and finishes and are built on an Ifor Williams road trailer chassis which makes them easy to deliver to your event. ​All our toilets are fresh water flush (unlike the recirculating systems commonly used that recycle strong smelling chemicals). This means that fresh water is used for every flush resulting in cleaner, more hygienic toilets with fewer odours. 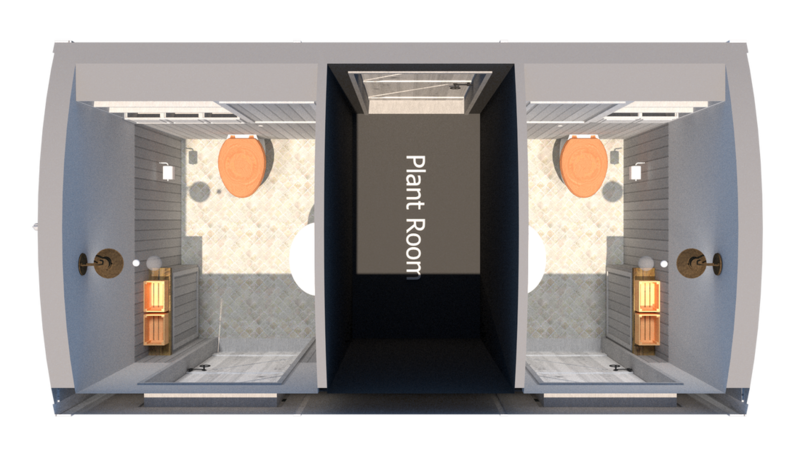 Our toilet huts use an internal tank to store waste water which is taken away with the unit at the end of your event – nothing is left behind. 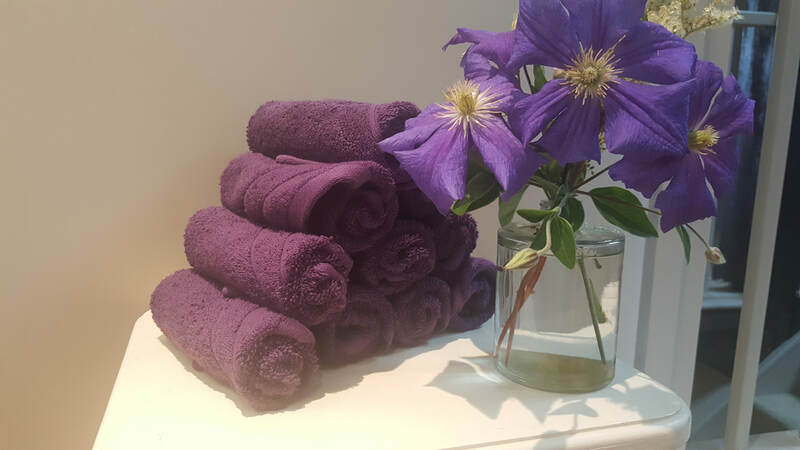 ​All of our huts come with heated fresh running water, hand wash and lotion and freshly laundered cotton hand towels, together with feminine essentials baskets containing a selection of items. If requested, we can also provide a valet service to ensure the hut is maintained to a high standard during your event. As part of the booking process we will carry out a site visit to ensure we have suitable access and that the appropriate electricity and water supply is available. Our huts need a water supply and a 13amp electrical hook-up within a reasonable distance once it is located on site.